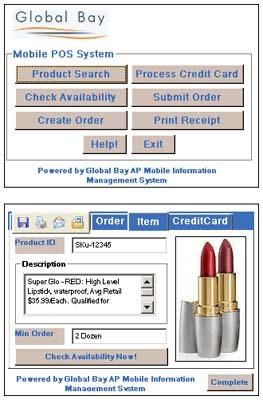 Line Busting POS module incorporates the power and functionality of a traditional POS workstation into a mobile device and allows you to service customers anywhere within the store. The solution allows you to complete all the functions you would typically complete on your legacy POS system with the additional benefit of deployment flexibility, based on customer traffic and busy periods. Our fully mobile beyond store, Line Busting POS module incorporates the power and functionality of a traditional POS workstation into a mobile device and allows you to service customers anywhere within the store. The solution allow you to complete all the functions you would typically complete on your legacy POS system with the additional benefit of deployment flexibility, based on customer traffic and busy periods. Our Line Busting solutions offers full POS functionality such as credit card processing, printing, scanning, tax and commission calculations, EOD reconciliation and access to customer details and purchasing history.